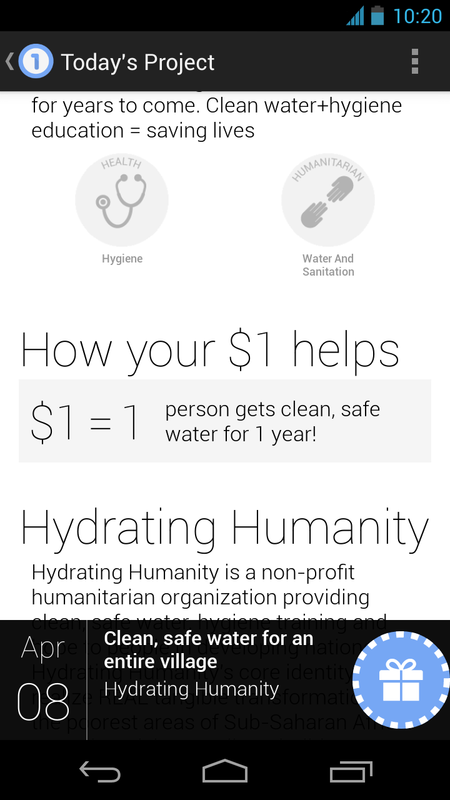 Google's charity-minded One Today app launched three months ago, inviting users to give away a dollar a day to a different deserving cause, sort of like a philanthropic version of Woot.com. The initial rollout was very limited, only opening to U.S. residents who had applied for and received an invitation. Now the invitation is no longer necessary: you can download One Today on just about any Android device, so long as you're in the United States. 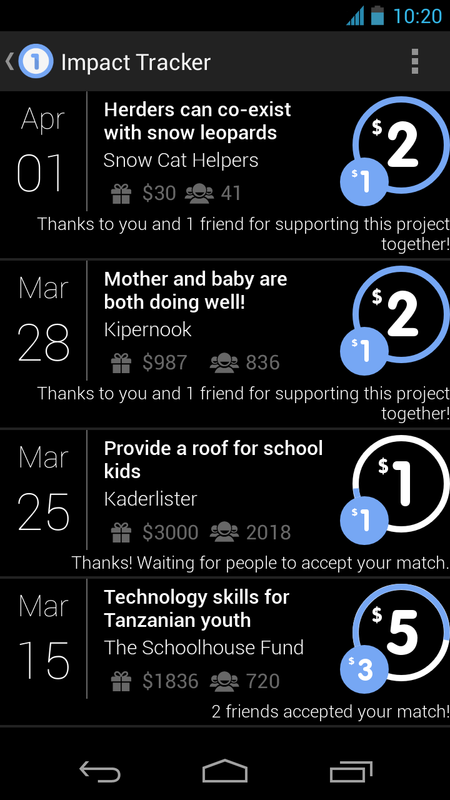 One Today presents a new cause every day - today it's Water.org's Water For Life project, providing clean drinking water to remote villages. 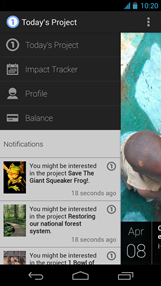 You're not limited to $1, of course; users can give as much as they like. 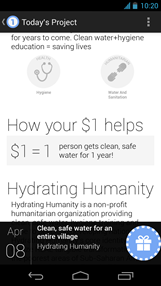 Donations can be made public, and you can offer to match the money given by those who see and respond to your donation on Google+, up to $10 worth. What's more, you can track your charity donations linked to your Google account within the app itself. 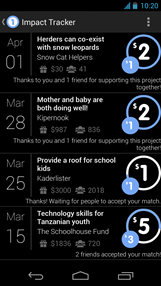 Non-profit organizations can sign up for consideration for free, and all of user's donations (minus a 1.9% transaction fee) go straight to the cause. There's no word on when One Today will be made available to more territories. International expansion is always tricky with a service like this, so I wouldn't expect the app to be available to more countries any time soon.